Please note – This event is sold out BUT due to the frequent “no-shows” at free events, we have oversold tickets to avoid having to turn people away before the event. Please reserve a ticket via EventBrite on our wait-list and arrive early to ensure a seat at the drawing tables! 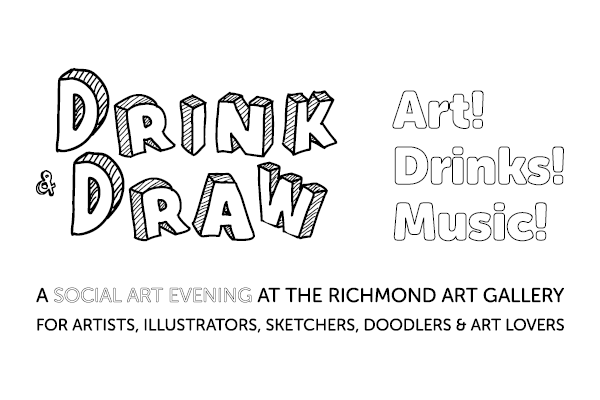 Calling all art enthusiasts: meet other artists, sketch and colour while you chat and share a drink at our Drink and Draw social. This free adult event is for artists, illustrators, sketchers, doodlers and art lovers to gather in the Art Gallery space for a social art event. 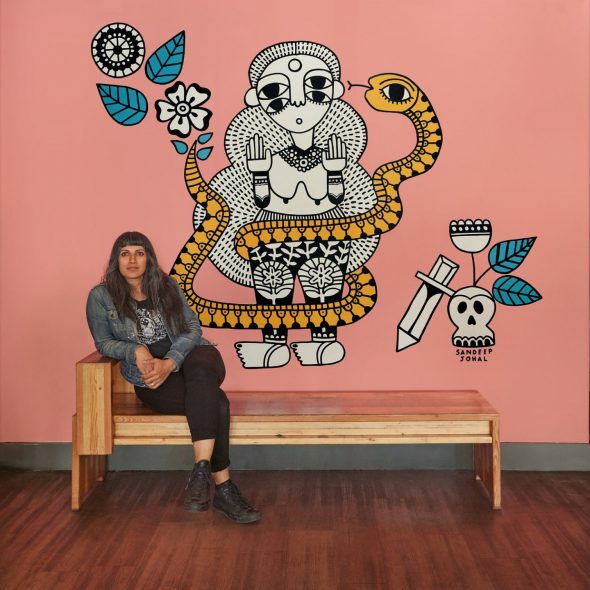 The evening begins with a live drawing demo by guest artist Sandeep Johal, followed by open drawing time to work on solo or collaborative drawings and network with other artists while listening to DJ Shamik spin some tunes. Short tours of the Pierre Vassura exhibition will be ongoing throughout the night upon request. Drawing materials provided. Open to doodlers of all skill levels. For ages 19+ – photo I.D. required. Register at EventBrite to reserve a seat.